Dyslexia is defined as a learning difficulty that affects the literacy skills, such as writing, reading, and spelling. Those who are diagnosed with dyslexia often finds it difficult to see or hear a word and break it down into separate sounds to associate to each sound and letter that make up the word. Though, aside from that, people with dyslexia also struggle in other areas, such as the ability to concentrate, short-term memory, personal organization, time management, and the ability to differentiate left from right. Due to the fact that there are different levels of dyslexia, the symptoms may also vary. For instance, some kids find it difficult to read and spell, while others find it hard to write or distinguish left from right. There are some kids who don’t seem to struggle with early writing and reading. However, later on, they find it difficult to learn complex language skills, such as reading comprehension, grammar, and more in-depth reading. 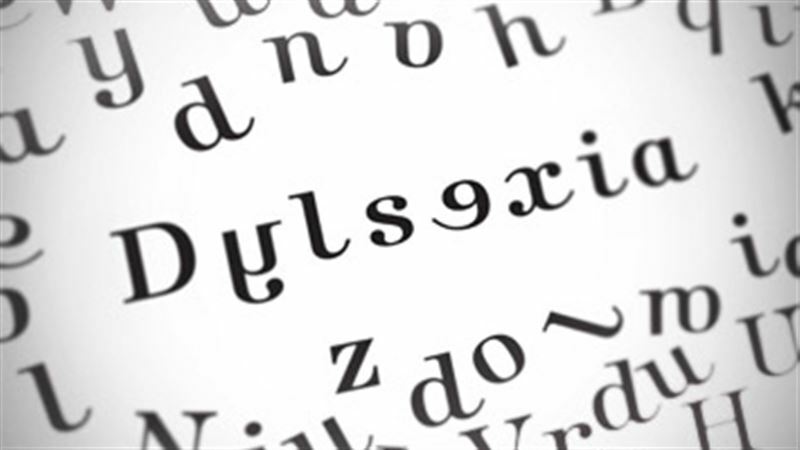 Dyslexia could also make it challenging for people to express themselves. It could be hard for them to structure their thoughts verbally, and they may have difficulty in finding the right words to deliver. It is often confused with ADHD, but actually quite different. Others don’t easily understand what they’re hearing. This holds true when someone uses non-literal language, such as sarcasm and jokes. The signs may also vary at different stages. Some of the most common warning signs of dyslexia, such as speech delay appear before the child reaches the age of 4. Though, most of the time, the problem is identified once the child enters grade school. – Difficulty in recognizing the alphabet, matching letters to sounds, such as not nothing what sounds “h” or “b” makes, blending sounds into words, such as connecting S-P-E-L-L to the word spell. – Struggle to pronounce words correctly. – Fails to read at the expected grade level. – Doesn’t understand idioms or jokes. – Cannot manage and organize time efficiently. – Finds it difficult to summarize a story. The difference between dyslexia in adults and dyslexia in children is that, adults usually find it difficult to organize their written work that lacks expressions. Even when they’re very knowledgeable about the subject, most of them doesn’t have the ability to express that knowledge through writing. Aside from that, dyslexic adults usually suffer from anxiety issues as well. They become fearful because of the constant frustration they feel because of this problem. Most of the time, this problem starts during early childhood, and could be a lifelong condition, and dyslexia will definitely not disappear when ignored. If it’s not identified and appropriate help is not given, the ill effects could last up to adulthood. The results may range from low self-esteem, frustration, and being an under-achiever. It’s quite difficult to identify dyslexia in adults as it is in children, because adults usually develop ways on how to cope or hide this problem. Just like what has been mentioned earlier, dyslexia is a form of learning disability that affects writing, reading, and speaking. It’s the most common learning disability in children, and if left untreated, it can be a lifetime problem. Dyslexia has been considered as a neurobiological condition that has something to do with genetics. That means, it’s possible for a person to inherit dyslexia from his parents, and this would affect the neurological system, specifically the regions of the brain responsible for reading and learning. Children with dyslexia usually have a family member suffering from the same condition. Likewise, it’s not uncommon for two or more children in the family to have dyslexia. For older relatives, it is sometimes impossible to determine if they are suffering from dyslexia if they have left school before the condition was diagnosed. Oftentimes, those with dyslexia hated school, drop outs, or left school early to get a job or joined the armed forced. As of now, it’s impossible to pinpoint the root cause of dyslexia, but researches have the hypothesis that the genetic makeup and brain differences could influence a child’s chance of acquiring dyslexia. – Genes and Heredity: Just like what has been mentioned earlier, dyslexia runs in the blood. That means, if your mom has dyslexia, then there’s a chance that you or your sibling may have it too. – Brain Activity: In order to read, the brain should translate the symbols we see into sounds that we recognize. Then, this sound would be combined and delivered into meaningful words. Usually, the areas of the brain responsible for language skills work in a foreseeable fashion. However, those with dyslexia are different– these areas don’t usually work the same way. Kids who find it difficult to read end up using a different area of their brain to compensate for this. – Brain Anatomy: Having dyslexia isn’t really an indication that your child isn’t as smart as you thought him to be. As a matter of fact, a lot of people diagnosed with dyslexia usually have a high I.Q. Though, their brains usually look different from the brains of those who aren’t dyslexic. For instance, the planum temporale is the part of the brain that plays a vital role in understanding language. According to research, it’s larger in the left side of the brain of right-handed people, but those who have dyslexia, probably have this part the same size on both right and left parts of their brain. According to the British Dyslexia Association, the number of dyslexics in the UK is around 10%, where 4% of this severely suffer from Dyslexia. The Equality Act 2010 identified dyslexia as a disability, because both adults and children suffering from this are unable to fulfill their potential. Unfortunately, a large percentage of the population doesn’t know what dyslexia is. On a global scale, between 5-10% of the population are suffering from dyslexia, but it could go as high as 17%, and of people who are having reading difficulties, around 70-80% of them are more likely to have dyslexia.